This book sets out a bold interpretation of consciousness that neutralizes the philosophical problems and explains how we can make scientific predictions about the consciousness of animals, brain-damaged patients and machines. The experience of interacting with the newest Virtual Reality technologies is affected by the extent to which we feel ourselves to be 'present' in computer-generated worlds. This volume provides an introduction to the topic of mediated presence. Human computer confluence is a research area aimed at developing an effective, transparent, bidirectional communication between humans and computers, which has the potential to enable new forms of sensing, perception, interaction, and understanding. With the increase in development of technology, there is research of human-like artificial intelligence that can be self-aware and act just like humans. This book explores how we may be close to developing a true artificially intelligent being. Virtual reality has impact on information organization and management and even changes design principle of information systems, which will make it adapt to application requirements. The book aims to provide a broader perspective of virtual reality. Visionary computer scientist Raymond Kurzweil probes the past, present, and future of artificial intelligence, from its earliest philosophical and mathematical roots to tantalizing glimpses of 21st-century machines with superior intelligence. Fault diagnosis technology is a synthetic technology, which relates to several subjects: modern control theory, reliability theory, mathematical statistics, fussy set theory, information handling, pattern recognition and artificial intelligence. Multiagent systems consist of multiple autonomous entities having different information and diverging interests. This comprehensive introduction to the field offers a computer science perspective, but also draws on ideas from game theory. In this book we analyze a selection of open problems which we consider the key ones in order to let ambient intelligence become a reality. This book provides the reader with a good idea about the current research lines in ambient intelligence. The field of multi agent systems investigates the process underlying distributed problem solving and designs some protocols and mechanisms involved in this process. This book presents an overview of the research issues in the field of multi agents. This book is the first in a series on Artificial Intelligence. It provides an introduction to the topic with an emphasis on the use of agent-oriented design. Topics include agents, environments, agent movement, and agent embodiment. 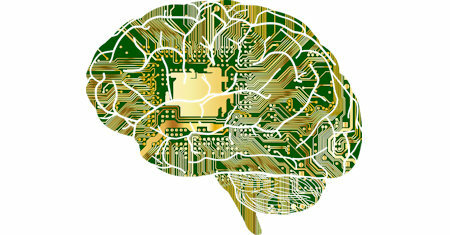 Artificial intelligence is a field within computer science that is attempting to build enhanced intelligence into computer systems. This book traces the history of the subject, from the eighteenth-century pioneers to the work of today-s AI engineers. Encyclopedia of Computational Intelligence covers neural networks, evolutionary computation, robotics, machine learning and pattern recognition, graphs and complexity, artificial intelligence, information theory, fuzzy systems, signal analysis, etc. The purpose of this book is to apply the Artificial Intelligence and control systems to different real models. The text is designed for graduate students and researchers who are active in the applications of AI and Control Systems in modeling.